Astronomers have recently found that the universe is expanding 5 to 9 percent faster than previously thought. The measurements were made with unprecedented accuracy by using the National Aeronautics and Space Administration’s (NASA) Hubble Space Telescope. The team measured the distance between 19 galaxies and compared them with rates derived from galactic distances measured in the early universe, just after the Big Bang, during a seven-year study led by Nobel Laureate Adam Riess of the Space Telescope Science Institute and The Johns Hopkins University, according to a press release made by NASA. These findings may be an important clue to understanding the mysterious parts of the universe that make up 95 percent of everything that does not emit light such as dark energy, dark matter, and dark radiation, commented Riess in the press release. Riess’ team made measurements with only 2.4 percent of uncertainty. The lowest rate before was more than 3 percent. The achievement was accomplished by developing innovative techniques that improved the precision of distance measurements to faraway galaxies, the team stated. The results were an improved Hubble constant, the unit of measurement used to describe the expansion of the universe. It was determined that the new value is 73.2 kilometers per second per megaparsec. 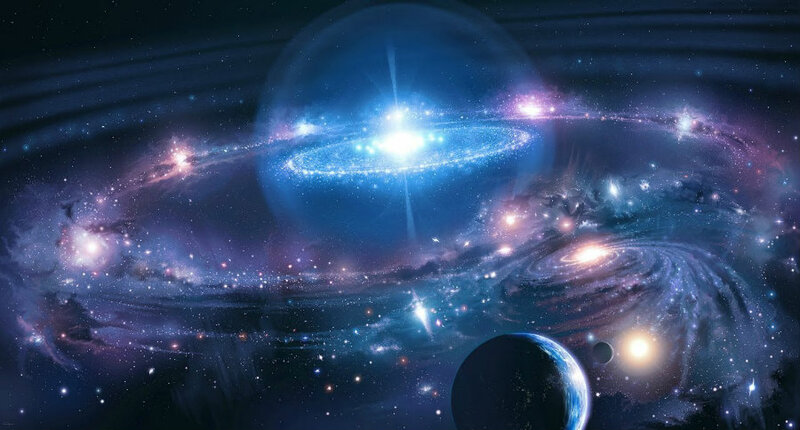 This means that the distance between cosmic objects will double in another 9.8 billion years. The team used the Hubble’s sharp-eyed Wide Field Camera 3, and its observations were managed by the Supernova H0 for the Equation of State (SH0ES) team. They aim to continue reducing the margin or error of its measures which had started at 10 percent during the first studies. A goal of 1 percent has been set by SH0ES and the possible devices that would allow such accuracy could be the European Space Agency’s Gaia satellite, and future telescopes such as the James Webb Space Telescope (JWST) that is set to replace the Hubble. The Wide-Field Infrared Space Telescope (WFIRST) could also help astronomers to measure the expansion rate better. The new value represents a “puzzle” itself due to it does not match the expansion rate predicted for the universe from its trajectory seen after the Big Bang. These ones were made by NASA’s Wilkinson Microwave Anisotropy Probe (WMAP) and the European Space Agency’s Planck satellite mission. The comparison of the already measured data with the new findings is like building a bridge, Riess explained. On the distant shore there are the cosmic microwave background observations from the Big Bang, and on the nearby shore, there are the latest measurements made by the Hubble telescope. According to Riess, this two values should meet in the middle if all the measurements are correct. However, the ends are not quite meeting in the middle, and the reasons are unknown, he said. The team has committed to continue investigating and reach some explanations that will explain the phenomenon. As it was already mentioned, there is no clear reason as why the predictions made with the beginning-of-times data do not match with the corrected values for the Hubble constant. Experts have pointed out a few possible explanations for this inconsistency although they all need further analysis and technology improvement. One possibility is that dark energy, which is already known to be accelerating the universe, may be showing galaxies away from each other with a greater, or growing, strength, NASA wrote in its press release. Another theory is that the cosmos contains an unknown subatomic particle in its early history that traveled close to the speed of light. This is known as “dark radiation” and includes previously known particles such as neutrinos. Additional energy from dark radiation could be throwing off the best efforts to predict the universe’s expansion. The boost could also mean that the dark matter itself contains some unexpected characteristics that were not taken into account for the predictions. Dark matter is the backbone of the universe, and it is the beginning of everything that there is today. Also, there is also a possibility that Einstein’s theory of gravity is incomplete, due to the unexpected universe’s expansion. According to Lucas Macri of Texas A&M University in College Station, who collaborated with Riess in the latest study, what is known about the dark parts of the universe is so little, and it is important to measure how they push and pull on space over cosmic history.